A chic traveller in a trench coat is about to enter an abode on Christmas Eve. Inside, there are hints of Sinatra-styled Jingle Bells and our collective memories fill in the rest. Christmas is not merry for everyone, and Christie Whelan Browne’s character Liz is clearly nervous. It’s an intriguing but unsettling start to the show. 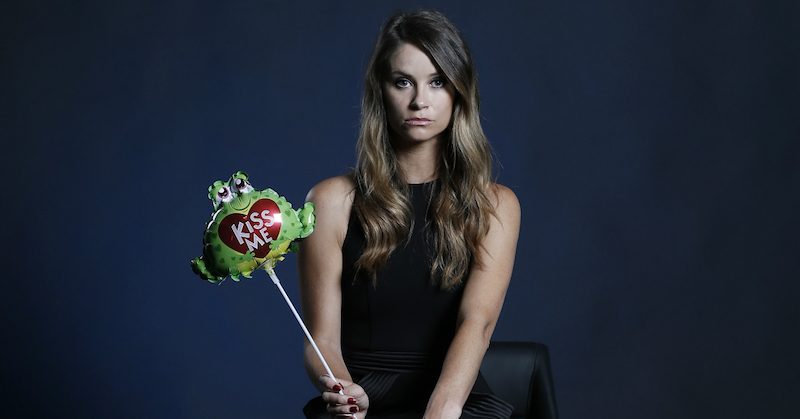 Once inside, Whelan Browne hits her stride, and the revelations commence. Written by Steve Vizard, with music by Joe Chindamo Vigil centres on a mother-daughter relationship – though its plot is best met unspoiled. Suffice to say there is love, loss, rivalry, selfishness and tantrums. Whelan Browne is spectacularly mercurial as reminiscences turn into impersonations, and she glides effortlessly from spoken word to song, splendidly manipulating the inadequacies of her character, and humorously casting a spotlight on the shortcomings of others she portrays. She sings powerfully when required, with a clear, uncomplicated voice, bringing as much colour to her interpretation as her complex character later reveals. Her impersonations of Bev Palmer and Liz’s father are show highlights, lending much to the superb Barbecue of Love, a genius little number that easily elicits laughter about the best and worst of our Australian selves. At the show’s end, it is bewildering to think that Whelan Browne alone has performed the complex account with multiple characters, reminiscences and songs, creating an illusion that many have contributed to the telling. Vizard has created an insightful and compact gem of a tale that makes a dysfunctional family look like the new normal. Cleverly he weaves in easily recognisable characteristics, achieving the elusive goal of audience investment, even in some of the characters we find ourselves loving to hate. This is not a comedy as such, but darkly droll with splashes of Vizard’s rapier wit. The authentic language is coarse and full of Strine, the conversations, punchy and informative. Andy Packer’s direction is solid, and effectively utilises Whelan Browne’s impressive acting chops, with convincing tears followed almost immediately by a perfectly controlled song at one point. The choice to flip the point of view part-way through creates a neat and clever game of two halves. However, having Liz’s mother represented only by the back of the headboard of her bed in the first part is so distracting as to create more annoyance than intrigue. It makes for a palpable sense of relief when what Liz could see is revealed – so perhaps ultimately it has its desired effect. The stage, whilst well equipped, would benefit from a less-is-more approach; Whelan Browne is utterly compelling without distractions that don’t add to the tale. Unified by Chindamo’s exceptional score, the recurring musical themes are memorable and songs linger, with audience members humming the catchy tunes as they exit. The songs One More Breath, Pretty Little Thing and Gotta Keep On Moving are all winners. Chindamo musically directs expertly from the piano, with violinist Zoë Black and cellist Molly Kadarauch adding wonderful textures including harmonics and pizzicato. Jazz, syncopation and shades of melancholy aid the pace of the dialogue, and the music successfully underpins the on-stage drama throughout. One of the most impressive aspects to Vigil is the seamless transition between song and spoken word, leaving no bump in the plotline. Pedestrian cabaret adopts the advertising adage, “If you haven’t got anything to say, sing it.” Not here. The songs do what good songs should: enhance, communicate, pace and entertain. Whelan Browne’s faultless clarity makes this a great story, well told. All in all, Vigil is a rollicking, dark and affecting show, which is well conceived, craftily drawn and superbly executed. The Adelaide season is now finished. Vigil plays at Arts Centre Melbourne, July 4 – 8.